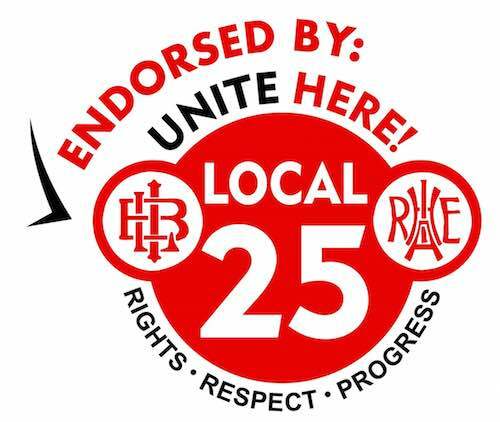 On this very rainy Friday in DC, an afternoon announcement just brought an enormous smile to my face: UNITE HERE Local 25 has endorsed my candidacy for Shadow Senator! Local 25 is a union of 6,500 hotel workers in Washington D.C., Maryland and Virginia. They know the importance of DC statehood to protecting the rights and ensuring the equal voice of everyone in our democracy. I look forward to advocating for the rights of Local 25 members and all DC residents in our fight for statehood. Thank you so very much for your support! Next Endorsement: At-large Councilmember David Grosso!